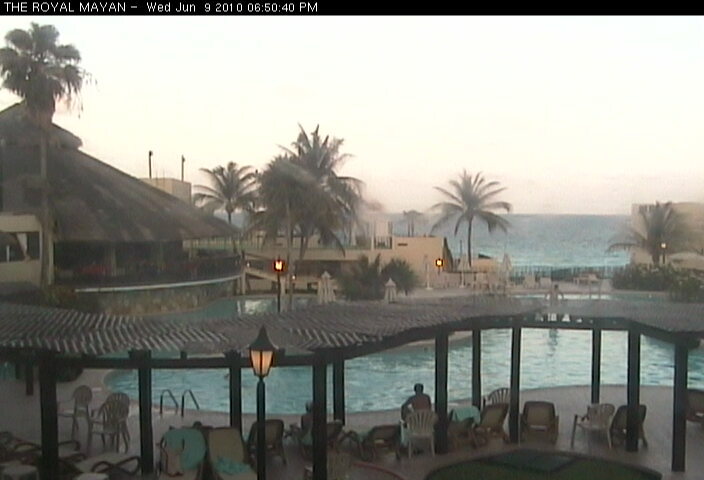 Through the Playa del Carmen beach cam at the Royal Mayan Resort you can actually see the Playa del Carmen weather and beach conditions "LIVE". Click on the image below to see the Royal Mayan Resort live webcam and discover just how perfect a vacation Playa del Carmen could be, especially if you're looking at this during the winter months, lol!!! The Weather is usually quite perfect and the beaches are beautiful. Be sure to spend at least one day visiting XCaret to reconnect with the pristine and exquisite beauty of the natural world. Mexico is filled with many eco parks and reserves in which many rare species of birds, fish, and animals exist. The Royal Mayan webcam in Cancun is updated every 5 minutes.